In the Commonwealth of Massachusetts, we use the term drunk driving in casual conversation, but the actual criminal charge is called operation under the influence of intoxicating liquor or drugs (OUI). We use OUI in Massachusetts as opposed to DUI or DWI like other states, because it does not have to be a traditional motor vehicle that the defendant is operating to get charged with an OUI. In fact, you can get an OUI on a non-powered bicycle, a scooter, a boat, or just about any type of conveyance device, with exception of a wheelchair, since that would be highly discriminatory towards a person who is disabled and cannot walk. While is has gotten fairly easy to tell if a person is driving under the influence of alcohol, especially with a blood test, it is much harder to determine if a person is driving under the influence of marijuana, and if that influence if enough to impair one’s ability to safely drive a vehicle. This is an important issue not only in terms of criminal prosecutions, but also in the case of civil actions, as our Boston drugged driving injury attorneys are aware. 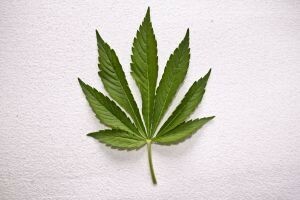 The public defender has argued that there are no physical characteristics of being under the influence of marijuana that a layperson can recognize in the vast majority of cases. The defense argues that if such clues exist (and they argue they don’t), we are dealing with pupil size and response and other such scientific clues. The reason defense attorneys want experts is because police are not considered experts for the most part, and experts cost money. On the other hand, the prosecutors are arguing that a layperson on the jury can tell after the police describe the events or by watching footage of the arrest if the defendant is under the influence of marijuana to the point were it affects driving. This is made more complex by the fact that, unlike with alcohol, they cannot do a test to determine if a person is high on marijuana. They can only tell if a person has used marijuana in the last month or so, and that is not sufficient. In a civil case, the issues will be the same, so the ultimate ruling by the Supreme Judicial Court (SJC) in Massachusetts, which is our state supreme court, will have a significant impact on what is required to prove a person is driving while high after a serious car accident.